Does the woman in Proverbs 31 make you feel like a sluggard? For years Christian women have struggled to understand what the Proverbs 31 woman was all about. Instead of encouragement or instruction, for most, this passage offered more guilt than eating a one-pound bag of M&Ms.” Is this the ideal woman? Or is the Proverbs 31 woman an outdated fixture of the past? Vicky Courtney believes that this passage is not in the Bible by accident and that a virtuous woman is a rare find in today’s world. 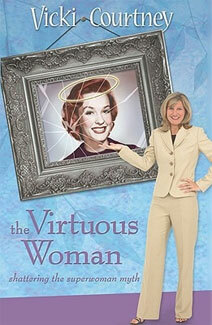 Join Vicki as she sojourns with you to unravel the mystery behind the Proverbs 31 woman.